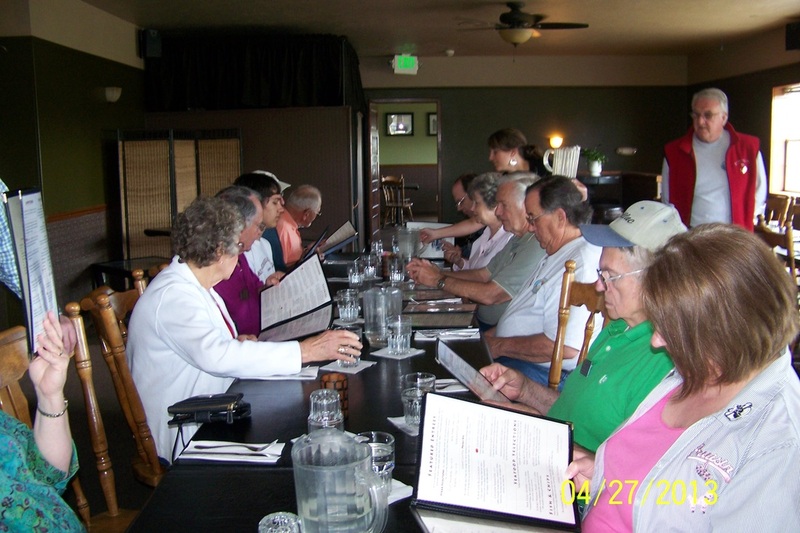 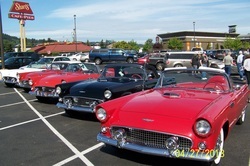 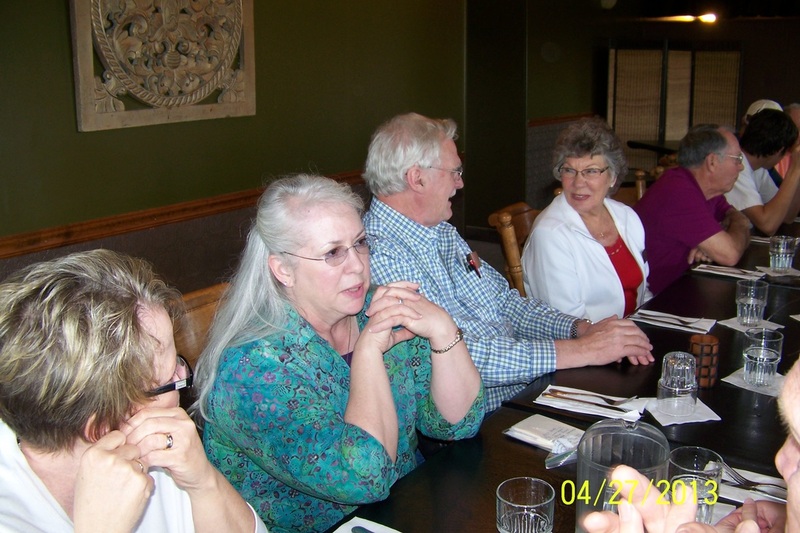 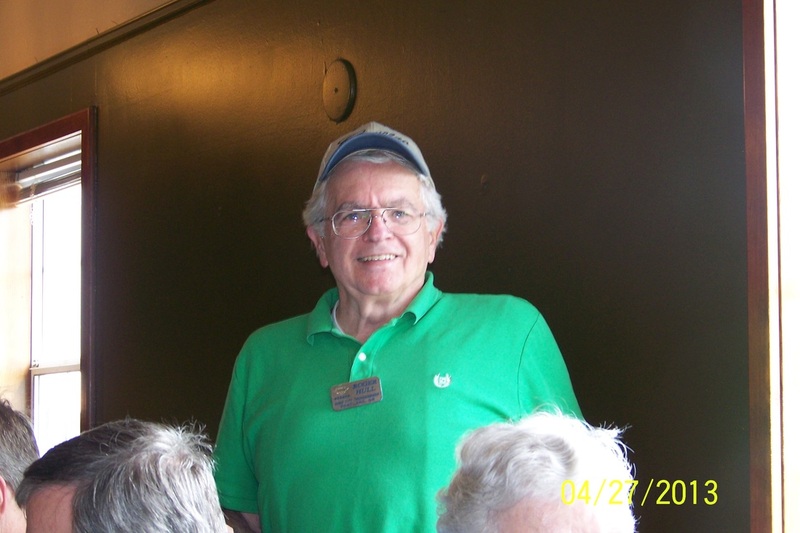 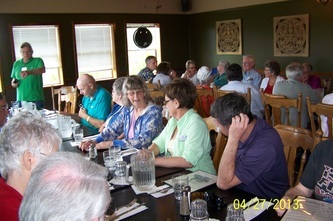 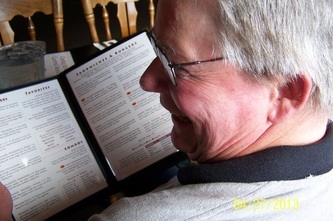 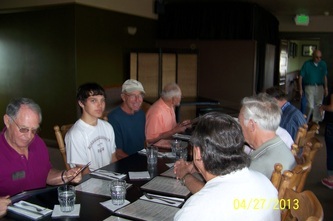 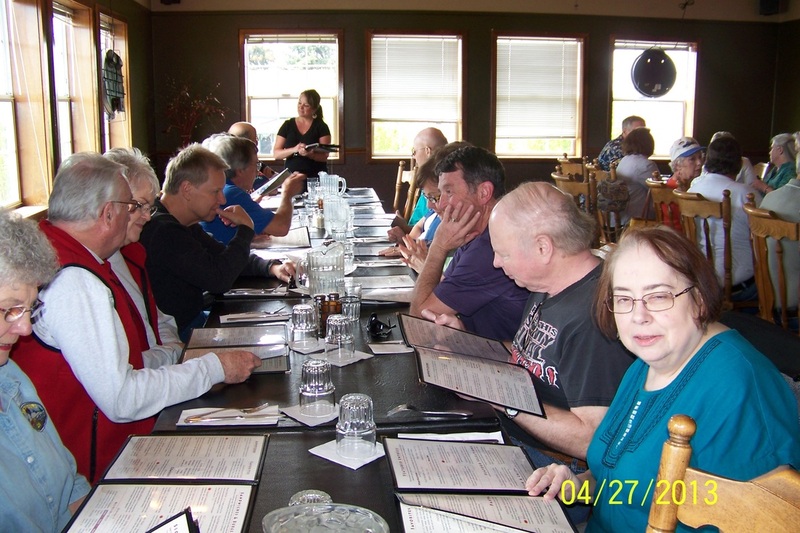 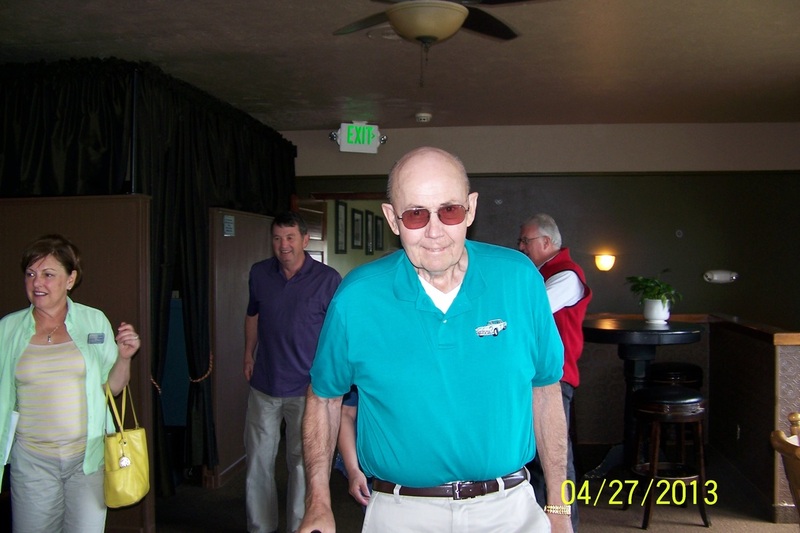 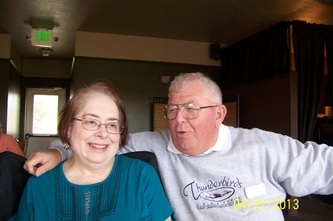 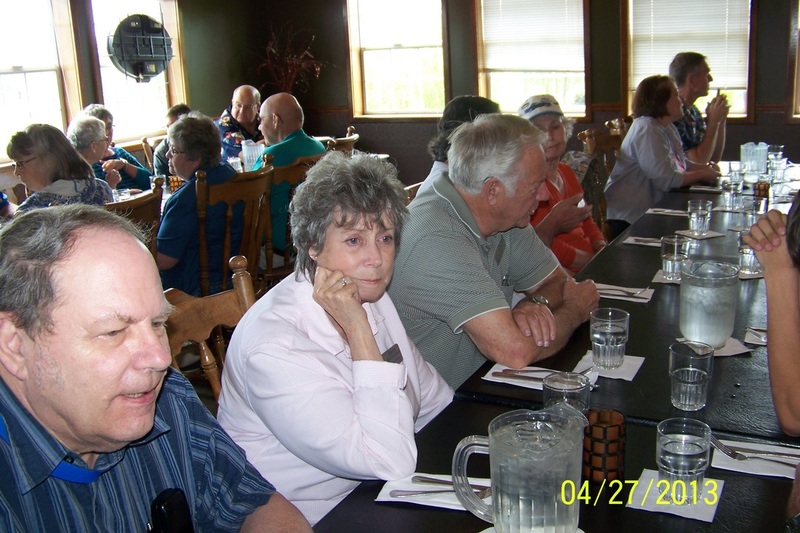 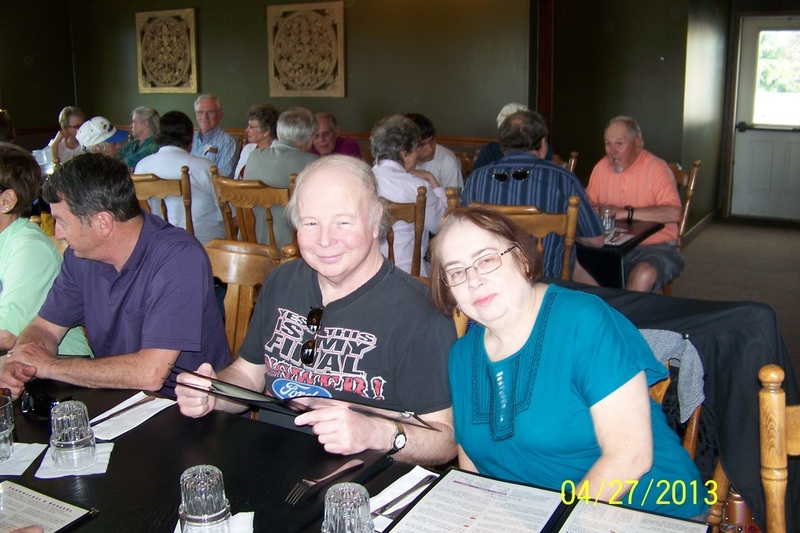 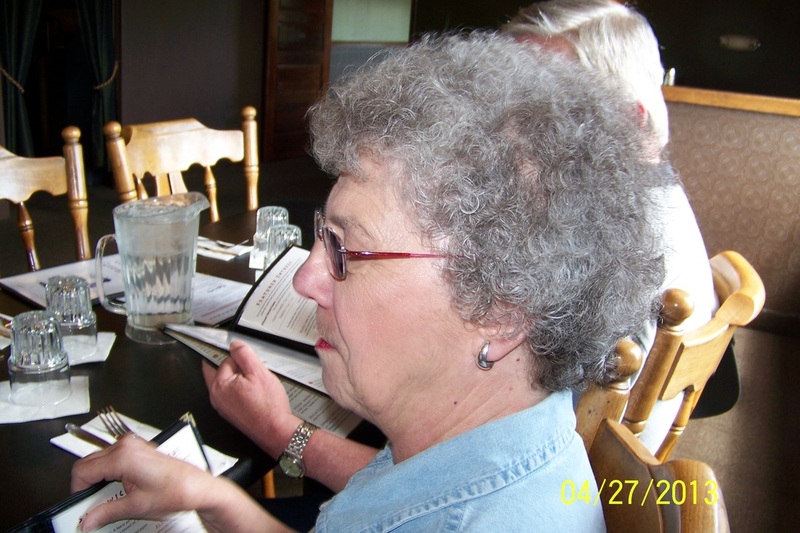 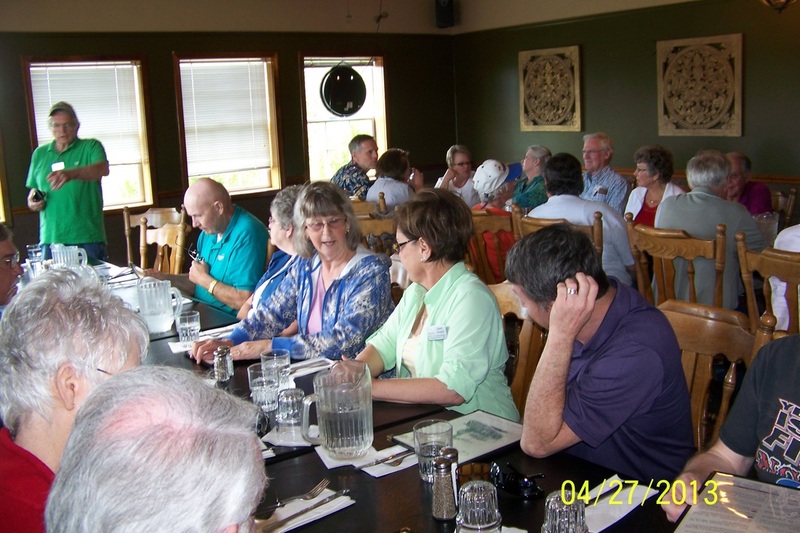 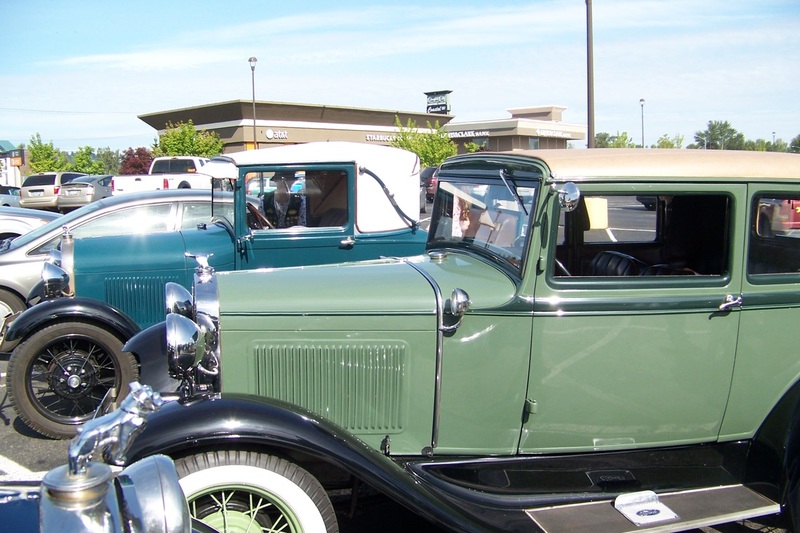 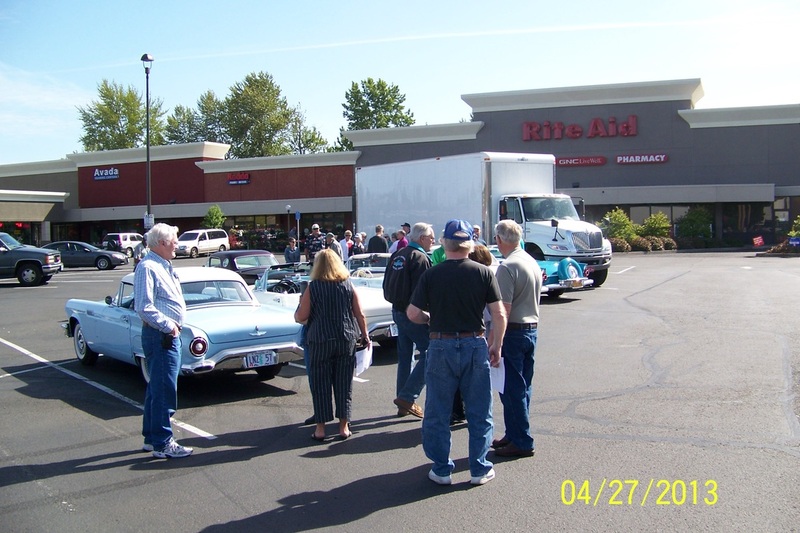 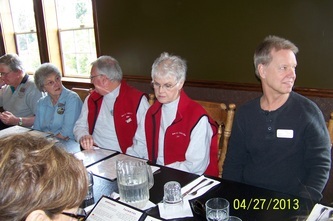 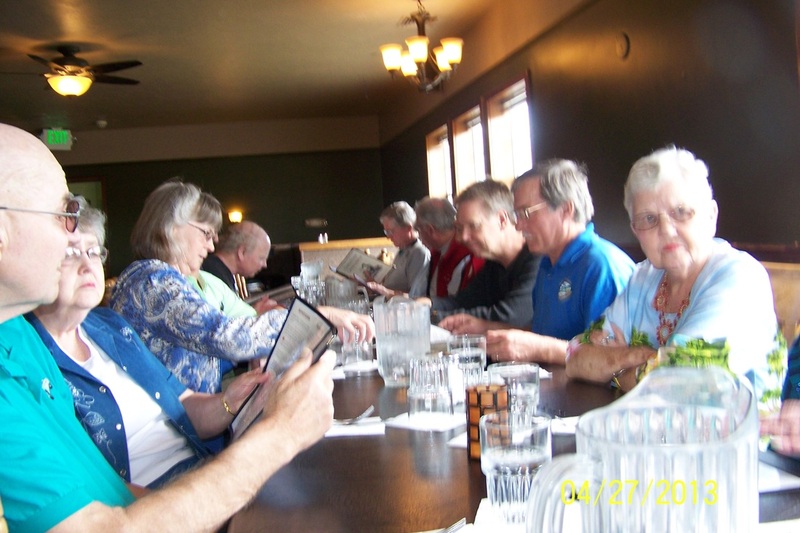 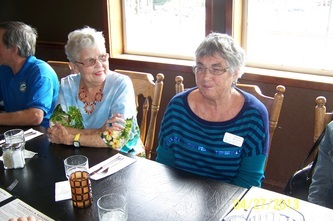 Saturday, April 27th we met in the Oregon City Shari's parking lot prior to heading to SMS Auto Fabrics. 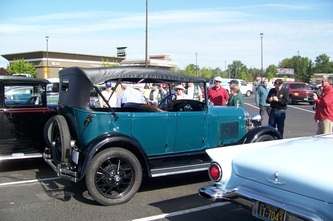 The Model A club was also meeting there for a tour of theirs. 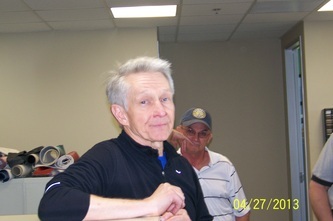 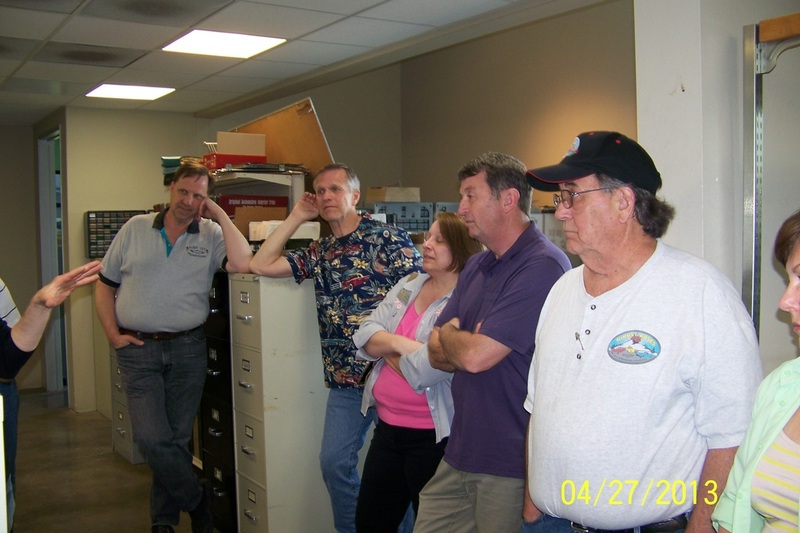 Shown at left is Doug Pollock owner of SMS Auto Fabrics. 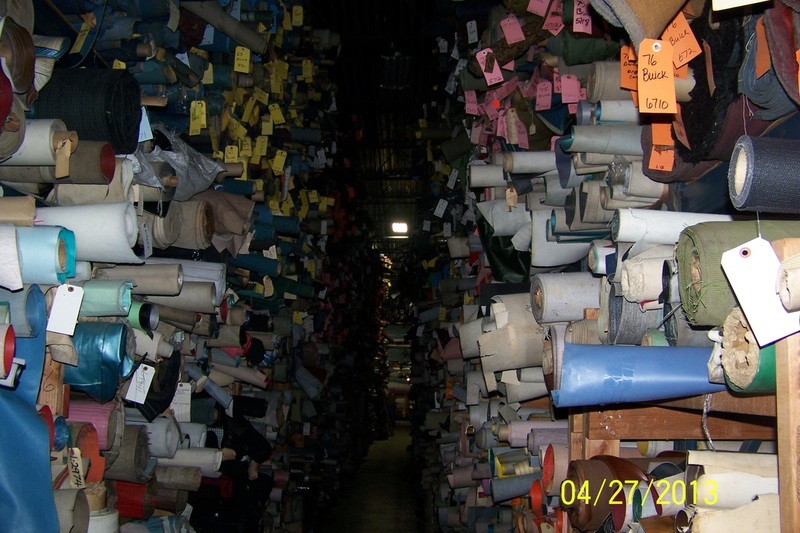 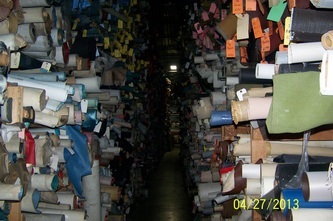 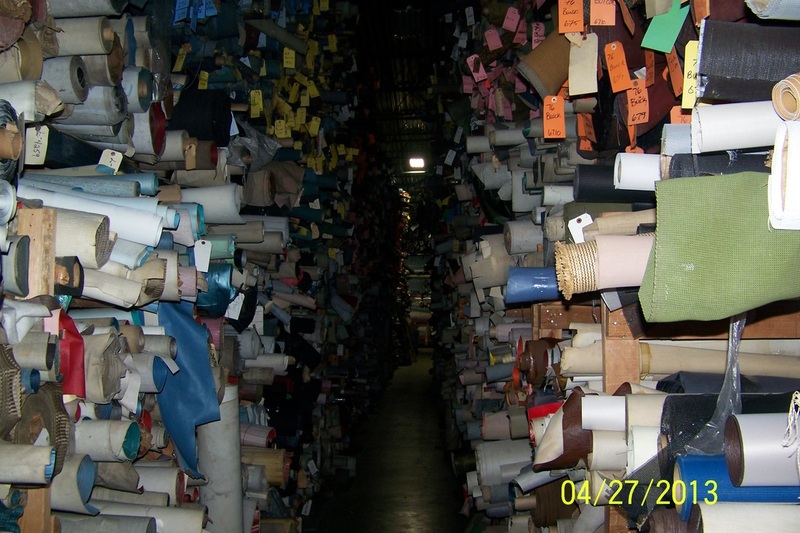 In their Canby facility they manufacture and stock upholstery yardage for virtually every car from the 1930's to current. 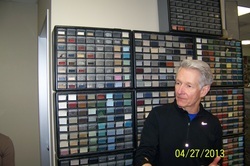 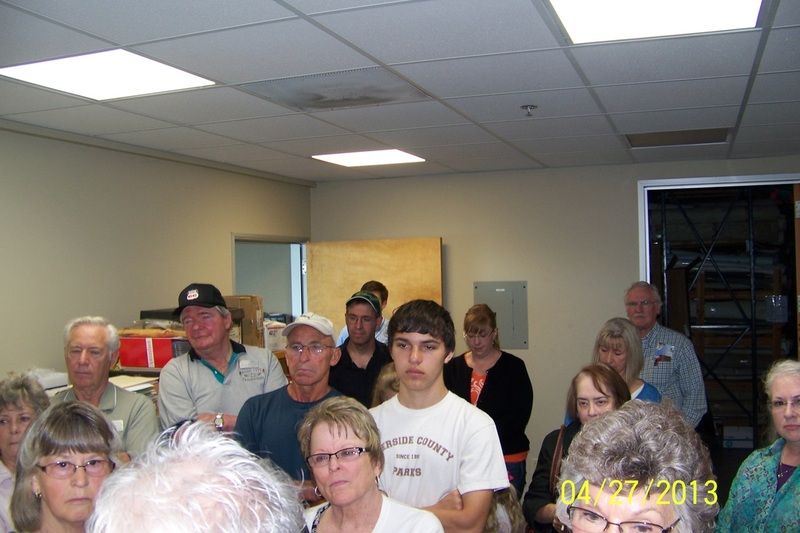 Behind Doug is a tiny sample of the enormous sample inventory they have to send to potential customers. 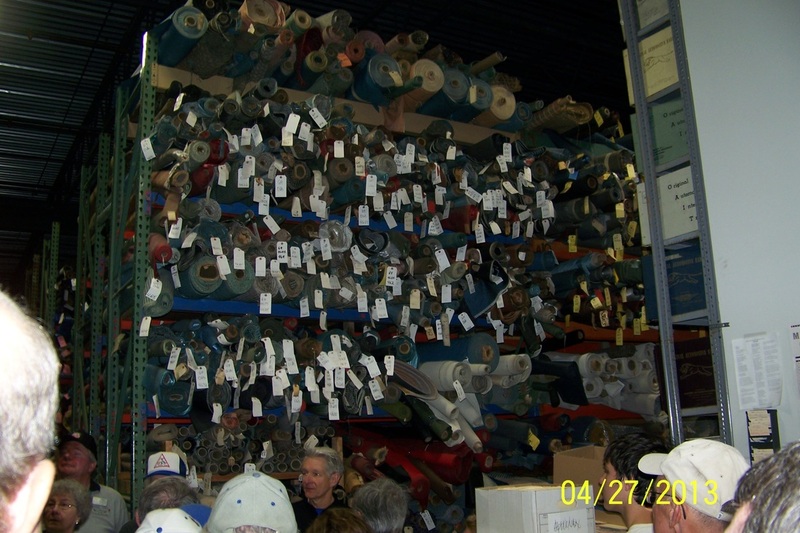 In addition to their vinyl manufacturing facility here Doug also has weaving looms in Pennsylvania to manufacture wool and mohair upholstery. 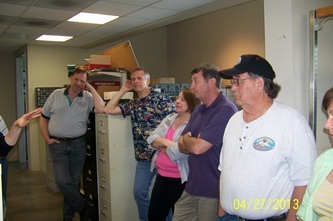 Below are a few photos showing our group and a couple of the endless isles of inventory. Doug states that he has about 1,000,000 yards of upholstery in stock. 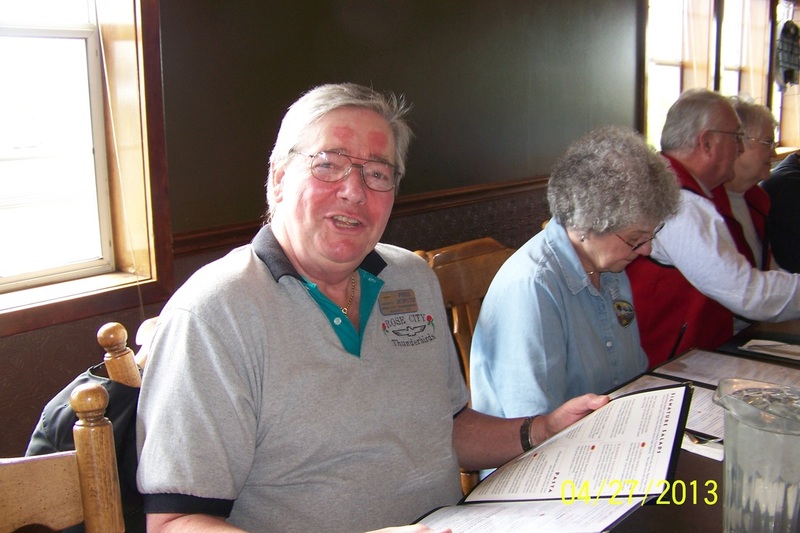 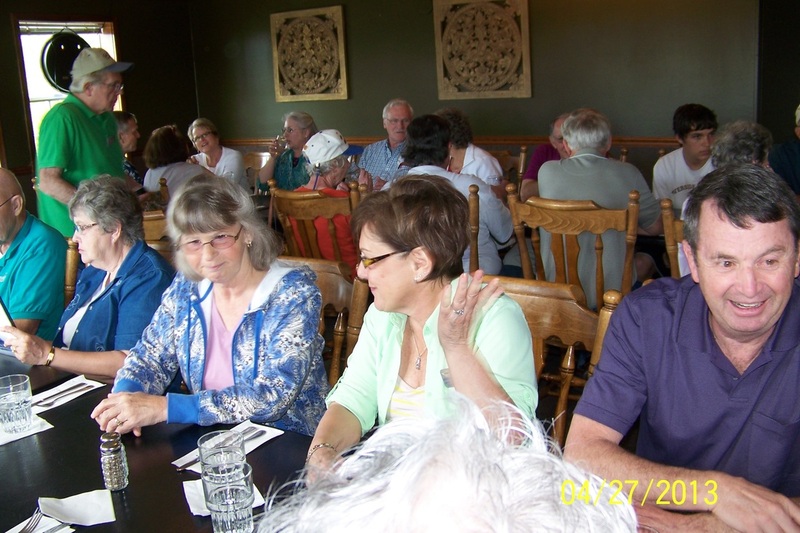 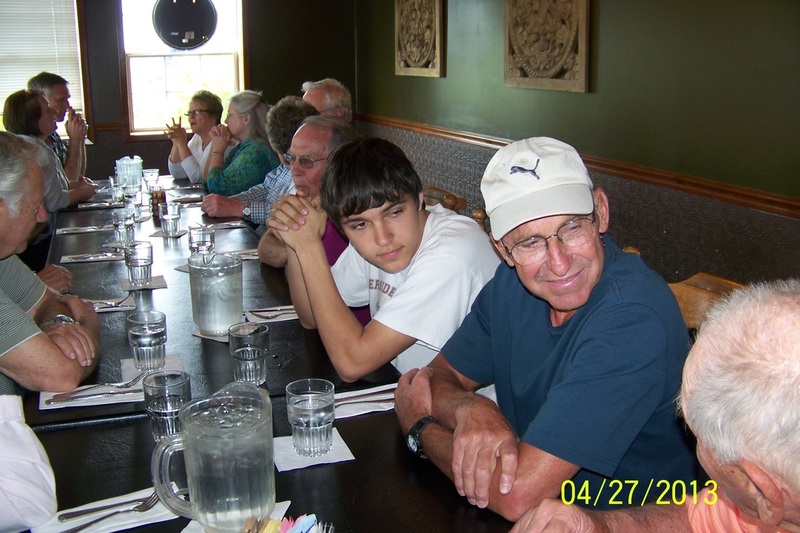 Also below are several photos from our lunch at Canby Grand Central Station. One waitress for 34 of us. 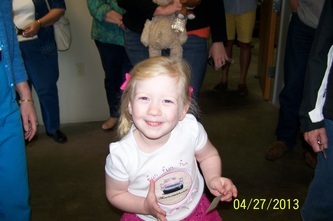 She did a great job.